Advisor to Ultra-Wealthy Families & Family Offices: We work with ultra-wealthy families helping them start their family offices, invest and protect their assets. We are dedicated to democratizing the family office industry, making it easier for anyone to learn the fundamentals of the industry. Richard has met with over 1,000 family offices in 23 countries and shared his family office insights and case studies at over 100 conferences in over 12 countries around the world. Most of our direct work with family offices is through our Billionaire Family Office and Family Office Executive Search divisions. Thought Leadership: Family Office Club CEO Richard C. Wilson is author of the bestselling book in the family office space, The Single Family Office: Creating, Operating & Investing, & Managing Investments of a Single Family Office and a recently released book called How to Start a Family Office: Blueprints for Setting Up Your Single Family Office. To get two chapters of his last book for free please join over 25,000 others in completing this form. We maintain the #1 most visited web property on family offices (FamilyOffices.com), and have published more than 2,250 articles, whitepapers, video recordings, and audio interviews to date. Workshops and Conferences: In addition to our significant web presence, the Family Office Club hosts a number of events each year where members can gather to network and learn from other family offices. We invite top speakers and family office executives to act as trainers in our intimate, full-day workshops. To view a schedule of our networking events and workshops, see our events section. Industry Data and Analysis: We employ a number of talented researchers and analysts to study the industry and produce valuable resources like regional reports, family office database, or compensation surveys. For example, Bloomberg News has frequently relied on our research in their family office industry reporting. If you would like to commission research from the Family Office Club team or view our existing products, please let us know how we can help. Explore our Family Office Resources: To learn more about family offices please explore our website, watch our videos, read our report, live family office workshops, learn about our family office training, or reach out to us via the contact details directly below. We are always looking to help family offices gain access to the resources they need to manage and grow their organization. Our team of professionals has over 25 years of experience in capital raising, marketing, client services and research. 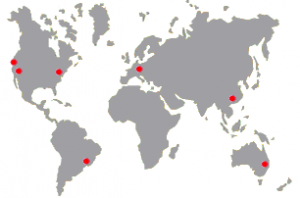 Our headquarters are in Portland, Oregon but we have a global reach and you will often see our team members speaking at conferences and events across the globe. At the Family Office Club, we recognize that while a large portion of the industry is located in the United States, there are thousands of family offices around the world. We frequently travel to places like Singapore, Monaco and Sao Paolo to meet and work with local family offices. To learn more about family offices please explore our website, watch our videos, read our report, live family office workshops, learn about our family office training, or reach out to us via the contact details directly above. We are always looking to help family offices gain access to the resources they need to manage and grow their organization. Richard C. Wilson helps $100M+ net worth families create and manage their single family offices and currently manages 14 clients including mandates with three billionaire families with a total of $5B of buy-side advisory mandates in place. Richard is also the founder of the Family Office Club, the largest membership-based family office association (FamilyOffices.com) with over 1,500 registered family office members. Richard has spoken at over 150 conferences in 17 countries, has the #1 bestselling book in the family office industry, The Single Family Office: Creating, Operating, and Managing the Investments of a Single Family Office and a recently released book called How to Start a Family Office: Blueprints for Setting Up Your Single Family Office. 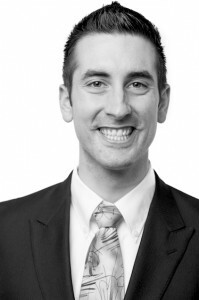 Richard has his undergraduate degree from Oregon State University, his M.B.A. from the University of of Portland, and has studied master’s level psychology through Harvard’s ALM program while previously residing in Boston. Richard currently resides 10 minutes from downtown Miami on the island of Key Biscayne, Florida with his wife and three daughters. Theodore serves as Managing Director at the Miami Family Office and the Family Office Club association. At the Miami Family Office and Billionaire Family Office, Theodore originates direct investments in private companies seeking expansion capital, strategic partnerships, or a sale. He maintains an extensive network of private equity and alternative investments firms, with an emphasis on co-investments with family offices and other LPs. Theodore manages the Family Office Club, the largest association of family office professionals. In that capacity, he organizes family office events, produces industry resources, and represents the association in the Northeast region. He has edited and contributed to many publications and books including The Family Office Book: Investing Capital for the Ultra-Wealthy (Wiley, 2012), The Hedge Fund Book: A Training Manual for Professionals and Capital-Raising Executives (Wiley, 2010), The Visual Guide to Hedge Funds (Bloomberg Financial, 2014), and most recently The Single Family Office (2014). Theodore has a Bachelor’s Degree from the University of Oregon and holds Series 7 and Series 63 securities licenses. Based in Portland, Oregon, Theodore is an avid networker and travels frequently to visit clients and host quarterly Family Office Club conferences. Harvey Abrams is an experienced family office and investment manager who contributes a wealth of family office knowledge and experience to help improve our Qualified Family Office Professional (QFOP) training program and inform our content and materials. Most recently, Mr. Abrams served as Executive Vice President of Securities Associates, Inc. In this position, he performed a variety of functions for the family office and RIA firm including CFO, COO and Chief Compliance Officer. He has served on the investment committee for a family office and has first-hand experience in the issues facing a family office such as managing an in-house accounting team, maintaining relationships with various third parties such as brokers, bankers, custodians, tax and trusts and estates consultants. Prior to serving as a family office executive, Mr. Abrams was President, CFO and COO for The Center For Humanities, Inc. and Assistant Controller and Budget Director at Parents Magazine Enterprises. Mr. Abrams graduated from City University of New York-Baruch College with a BBA in Accounting with honors. Rafael Tassini has been conducting research for the Family Office Club and related work for years. Rafael is trained in research, analysis and capital raising and continues to help our team improve our products and services each year. Rafael is always creating and researching new areas of the family office and wealth management space. Charles B. Wilson helps develop many of the Family Office Club resources from audio interviews to training materials and video content. Charles helps produce and edit training videos, video recordings of team member speeches at conferences, audio interviews and other family office resources. 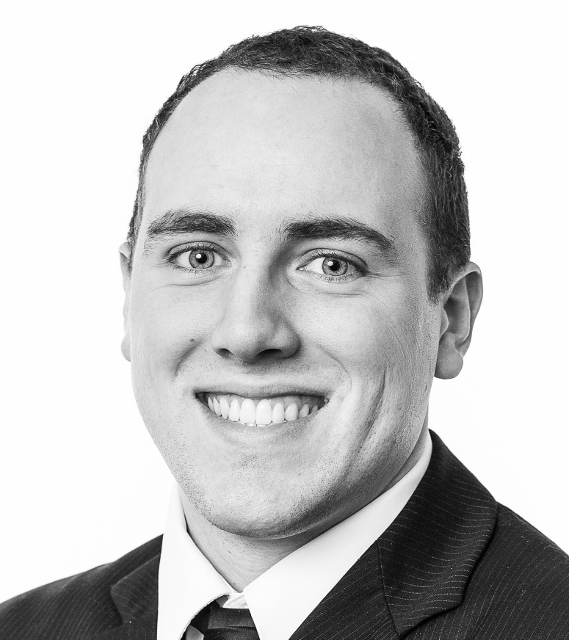 Charles has spent time recently helping us produce new family office training resources and improving the overall experience at the Family Office Club website. Adriana works with Douglas to assure that our clients are satisfied and that we are always finding new ways to deliver value to our clients. Adriana also assists Rafael with his ongoing research on the family office industry. David Becker is an expert in portfolio and risk management, and is well adept in his knowledge of financial derivatives. With his extensive experience in these areas, David has been instrumental in the creation of our training platform and the continual development of educational resources for family offices. 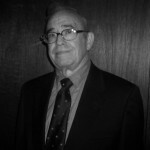 Mr. Becker has an 18 year track record of creating and initiating successful investment ideas. During his professional career, David has worked for 2 investment banks, which include Morgan Stanley and Smith Barney, trading equities, debt derivatives, commodities and foreign exchange. David has in depth knowledge of many trading strategies that lead to successful short and long term returns. Aldo S. Rabih is a Senior manager in New York working on reinsurance technical issues and derivative credit valuations. As a consultant, Aldo helps the Family Office Club by further informing our coverage of due diligence, risk management and other important areas for family offices and wealth managers. Aldo gained over ten years experience dedicated to serving financial services entities (mainly hedge funds and private equity entities) and over four years of diversified experience in other industries and capital markets, both at Metlife as well as from other big four public accounting firms. Aldo has also spent two years as an independent risk consultant with a focus on internal controls and due diligence for fund of funds as well as reviewing transparency standards for fund of hedge funds.